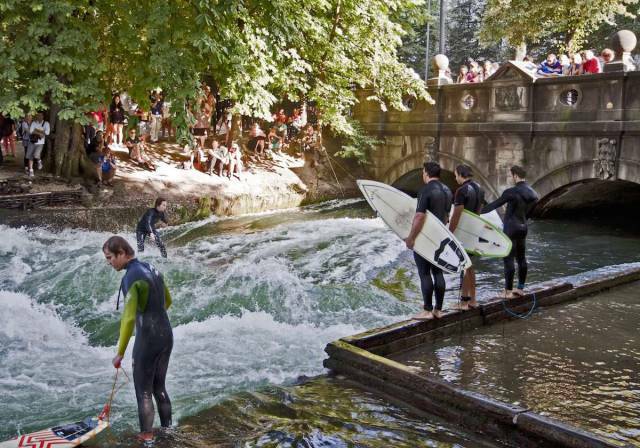 Go surfing in Munich, Germany, where city-based surfers take their boards to the Eisbach, a small man-made river in Englischer Garten park. 99. 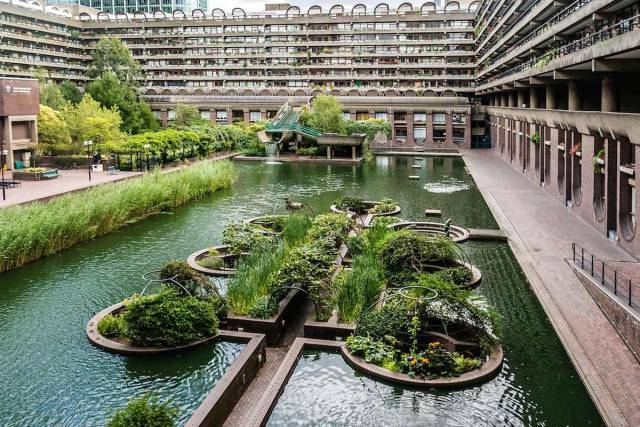 Have afternoon tea in a rainforest in the center of London at the Barbican Conservatory. 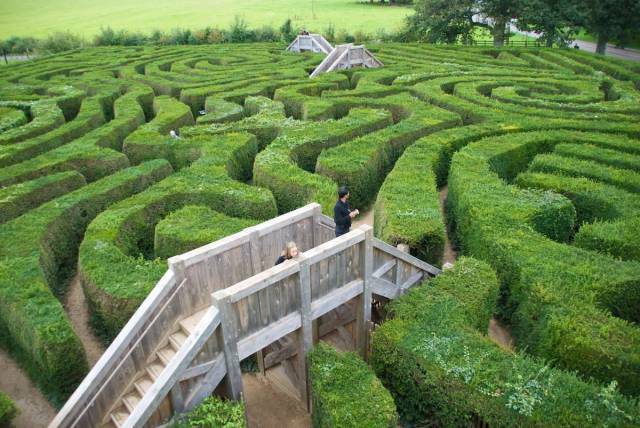 Weave through the world's longest hedge maze at Wiltshire's Longleat Maze, which measures nearly two miles. In Prague, take a funicular up Petrin Hill to stroll through a verdant rose and lavender garden. While there, climb the Petrin Tower — a 210-foot-tall steel structure often called Prague's "little" Eiffel Tower — for beautiful city views. 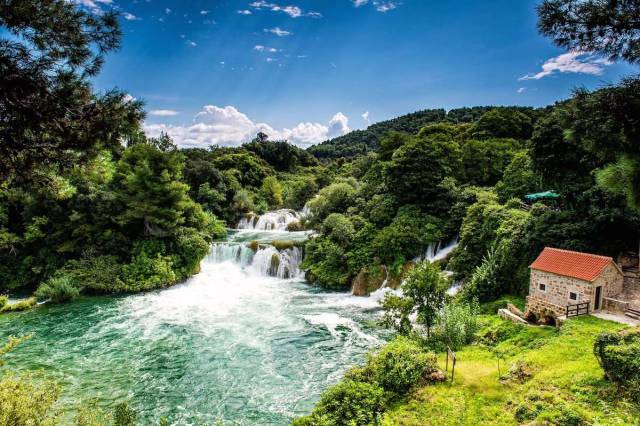 Swim under the waterfalls of Croatia's stunning Krka National Park in Dalmatia. 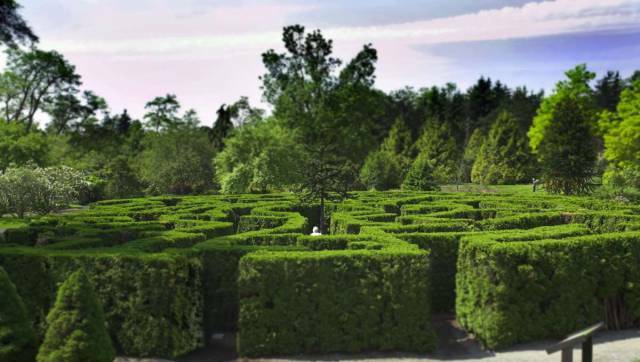 Find your way out of the maze at Vancouver's VanDusen Botanical Garden in Canada. 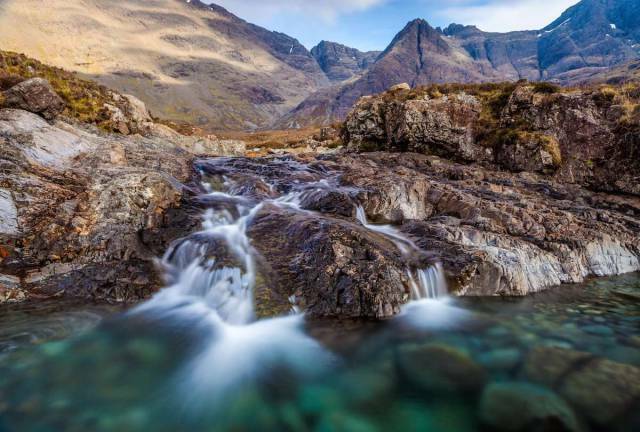 Swim beside waterfalls in beautifully clear water at the Fairy Pools in the village of Carbost on Scotland's Isle of Skye. These adorable cottages in north-western Japan are all constructed in the “gassho-zukuri” architectural style. 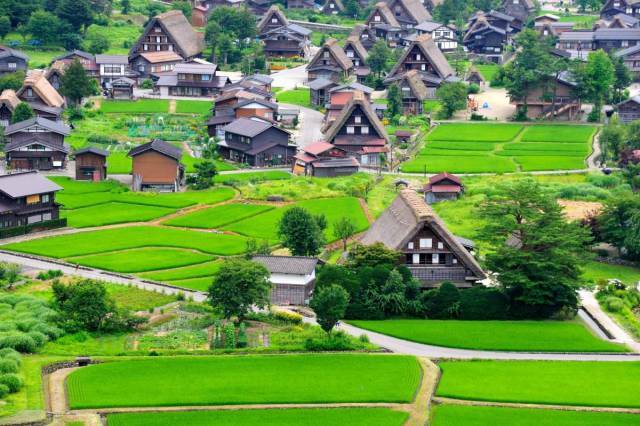 The entire village of Shirakawago is registered as a UNESCO World Heritage Site. 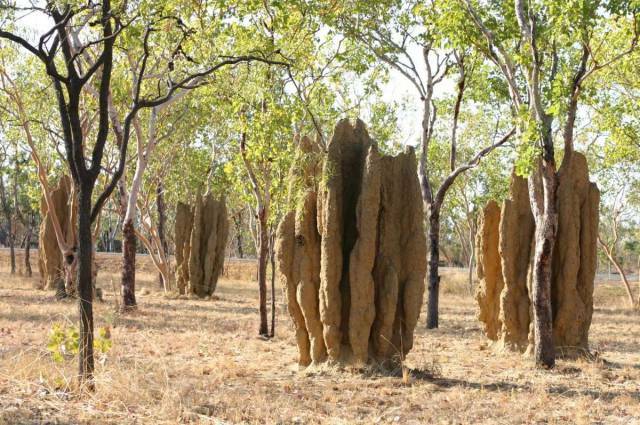 These strange rock formations in Australia's Northern Territory are giant termite mounds. They act as enormous magnetic compasses, with their thin edges pointing north-south and broad backs east-west. This helps the termites keep cool and survive in Australia's harsh climate. 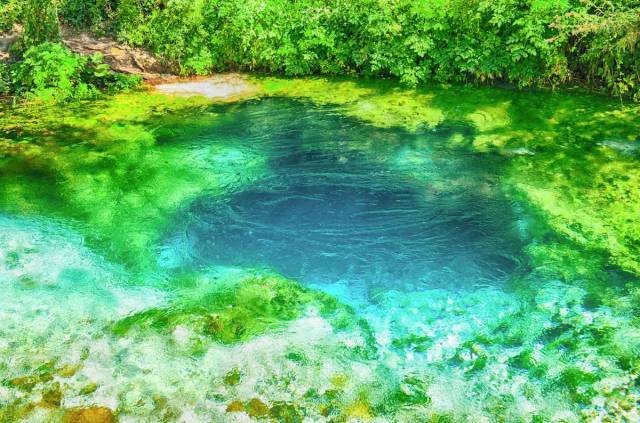 Trek to Albania's Sarandë District to peer into the Syri i Kalter ("The Blue Eye"), a gorgeous natural spring that goes deep underground. 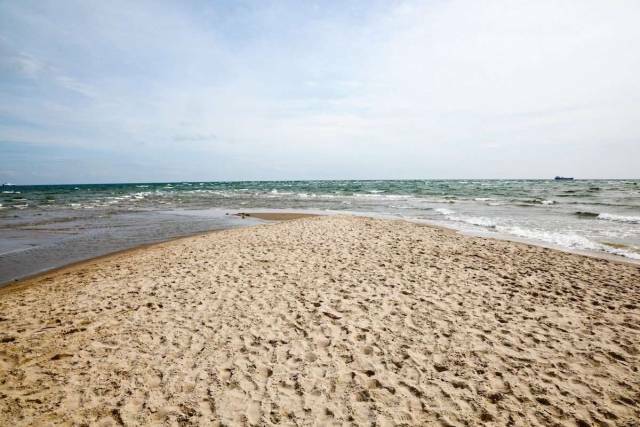 Travel to the very north of Denmark to Grenen, a beach in the town of Skagen that connects two seas: The Skagerrak Straight in the North Sea, and the Kattegat, which flows between Denmark and Sweden. 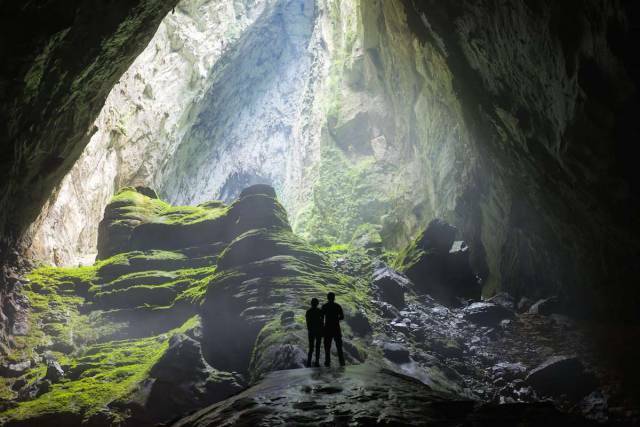 Explore Vietnam's Phong Nha Caves, an incredible network of caves that has been named a UNESCO World Heritage Site. 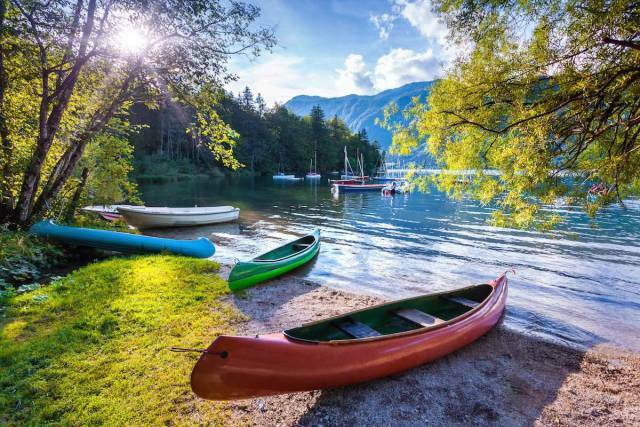 In Slovenia, skip Lake Bled and check out the lesser-known Lake Bohinj, which offers equally breathtaking surroundings. 87. 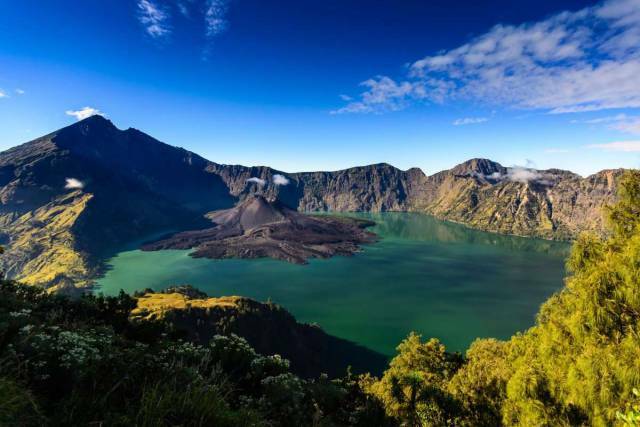 Offering stunning sunset views for those willing to plan a trek or a hike, the active Rinjani Volcano is a must-see site on the island of Lombok in Indonesia. 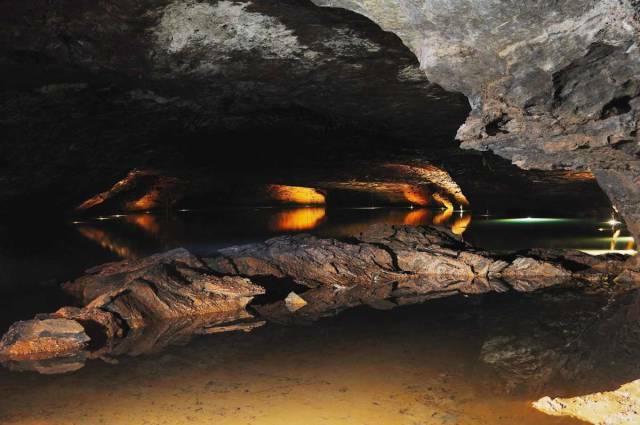 Take a boat tour of the "Lost Sea," a large underground lake that takes up more than four acres in Sweetwater, Tennessee. 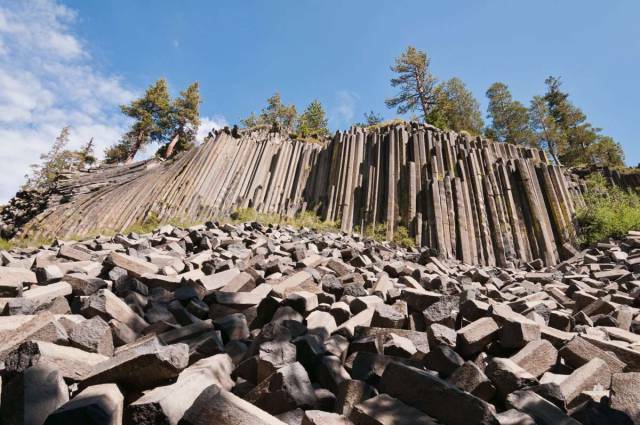 Go on a hike in California's Mammoth Falls to see the Devils Postpile National Monument — an impressive natural basalt formation that is surrounded by a mountainous landscape. 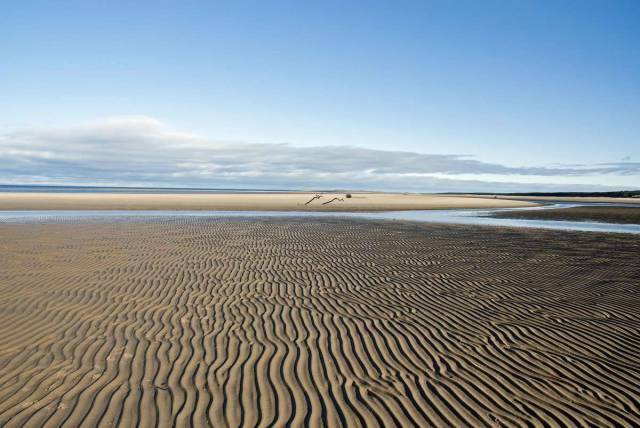 Walk along the sand dunes of Nairn Beach in the Scottish Highlands. You may even spot a dolphin off the coast while you're there. 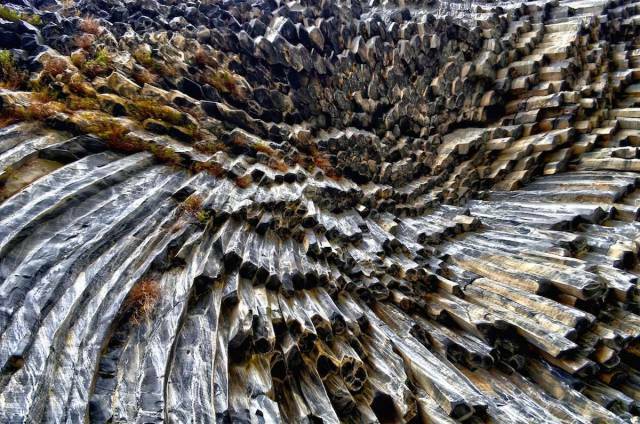 See one of the world's coolest rock formations at Armenia's Symphony of Stones, a complex natural structure made of basalt rock on the side of Garni Gorge. 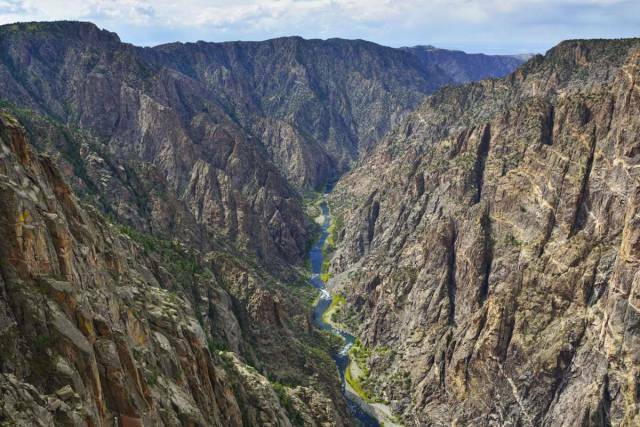 Hike to the Black Canyon of the Gunnison, a stunning yet lesser-visited national park in Colorado. 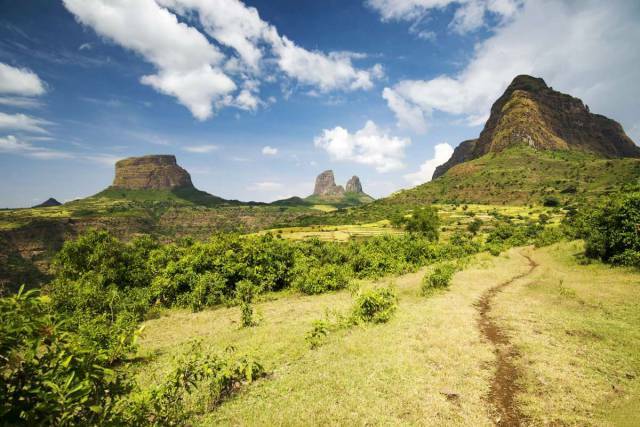 Take a scenic hike through Ethiopia's Simien Mountains National Park. 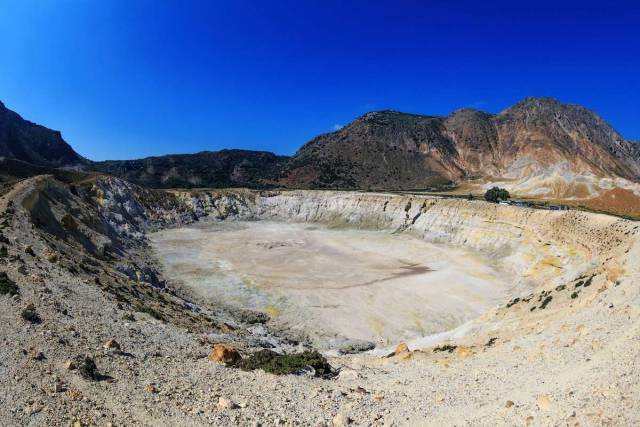 Climb inside the crater of an active volcano (if you dare) on the island of Nisyros in Greece's Dodecanese. The volcano's last eruption was in 1888. 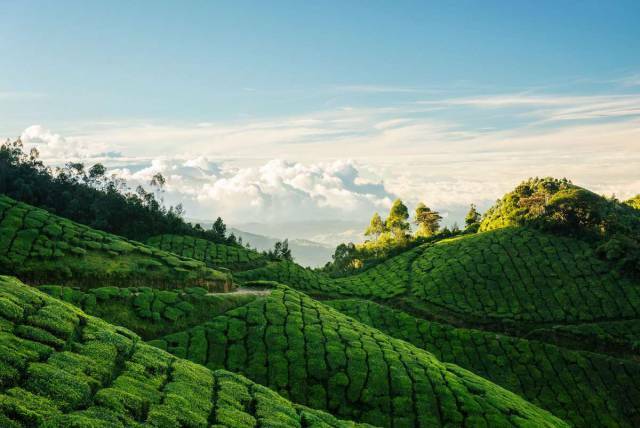 Take in the views from the Kolukkumalai Tea Estate — a sprawling piece of land that sits at 8,000 feet above sea level — in Munnar, India. 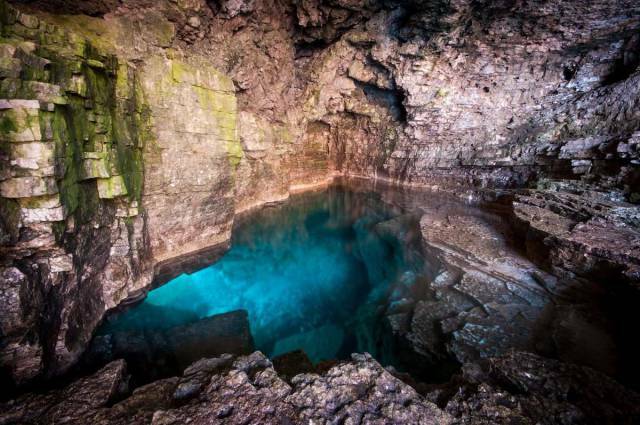 This bright blue grotto at Bruce Peninsula National Park in Ontario, Canada, is so mesmerizing it doesn't quite look real. 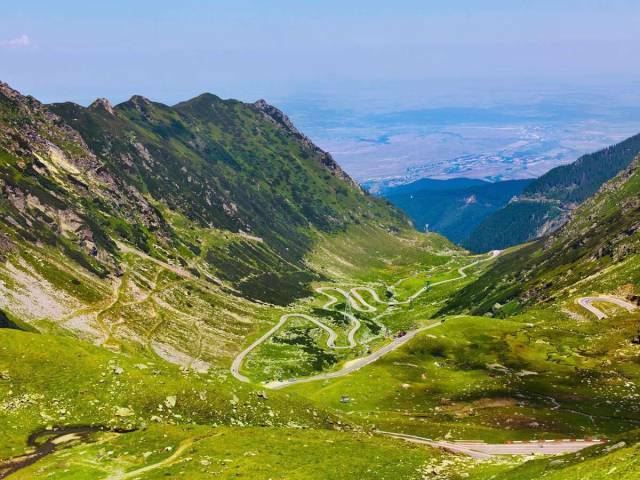 Take a scenic drive along Romania's winding Transfăgărășan road, which links Transylvania to Wallachia. 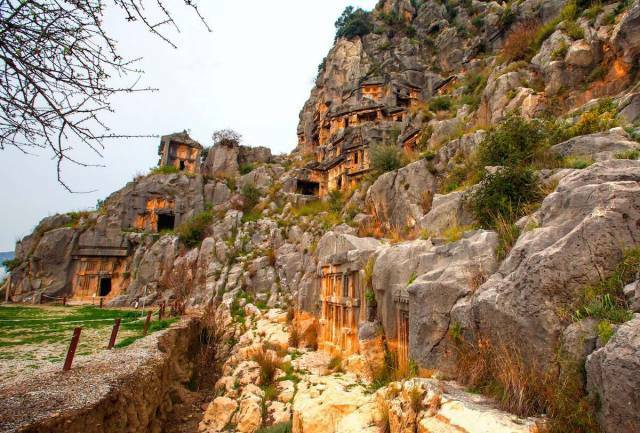 Look up at a series of intricate tombs built into the side of a mountain by the Lycians in Fethiye, Turkey. 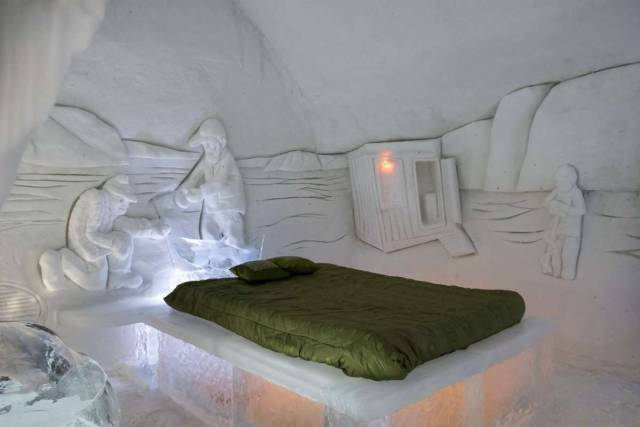 Stay inside the temporary Ice Hotel installed every winter in Quebec City, Canada. It's not just the architecture that's sculpted out of ice — even the furniture is made out of the stuff. 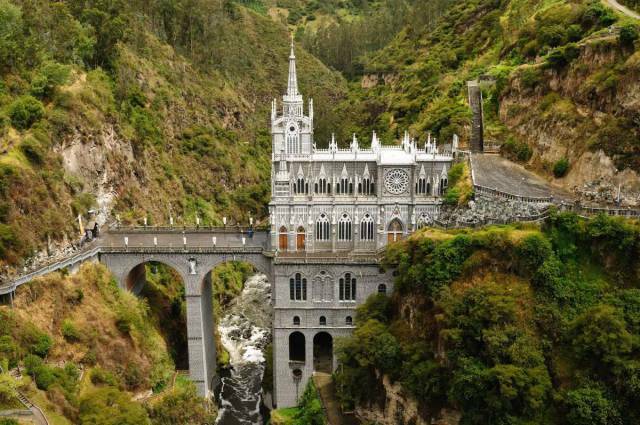 Near the Colombian city of Ipiales lies the Las Lajas Sanctuary basilica church. Straight out of a fairytale, it is built on a bridge that dangles over a gorge. 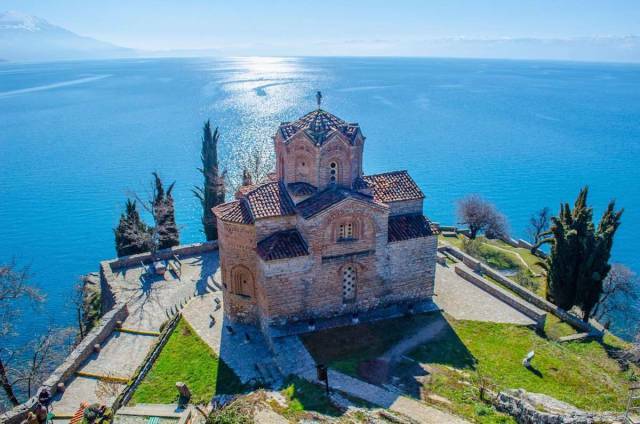 Marvel at the view of Lake Ohrid from the Church of St. John the Theologian, pictured below, in Ohrid, Macedonia. 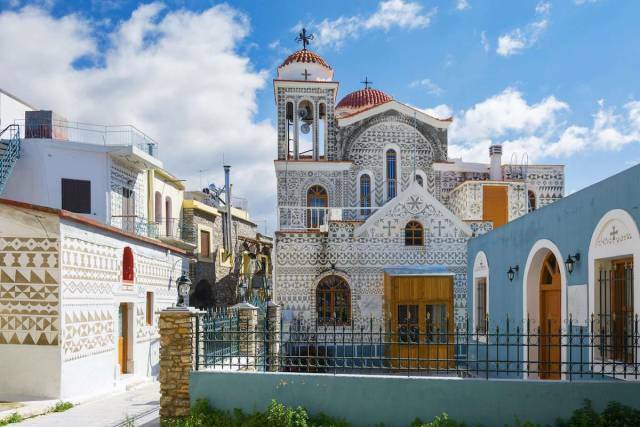 Admire the ornate patterns on the houses and church in the village of Pyrgi, on the Greek island of Chios. 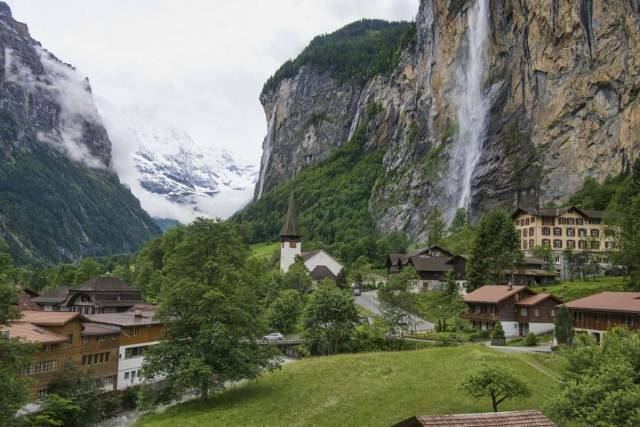 The Staubbach waterfall in Switzerland sits next to the houses and church of a local town, covering it in a mist of spray. Knight Inlet in British Columbia, Canada, is only accessible by boat or sea plane. 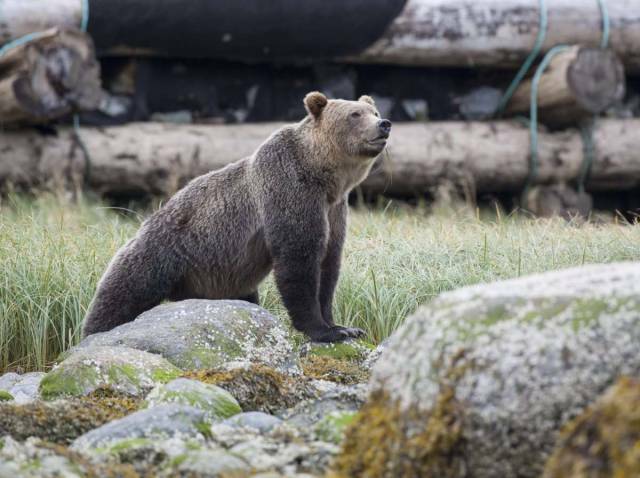 It's great for seeing wildlife like grizzly bears and sea wolves. 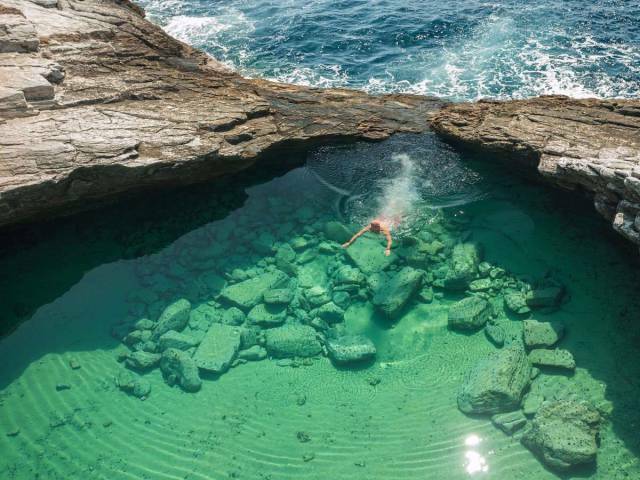 Swim in the translucent water of Giola, a natural rock pool in the region of Astris on the Greek island of Thassos. 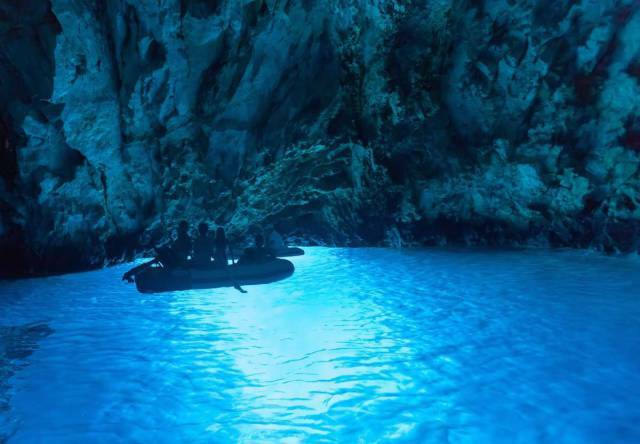 Hop on a raft to drift beside Croatia's Blue Cave of Bisevo, a naturally vivid grotto that is so bright in the sun it looks artificially illuminated. 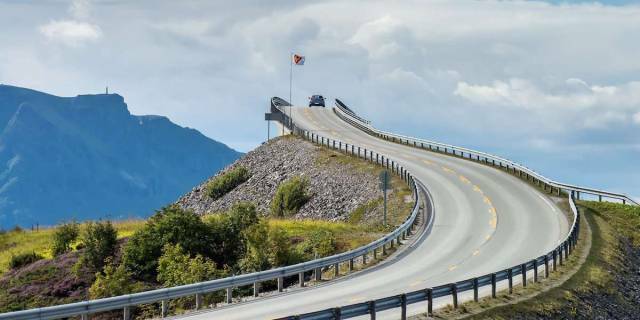 Road trip along Norway's Atlantic Ocean Road and drive over the Storseisundet Bridge, a nausea-inducing crossing that makes people feel as though they're driving in the sky. 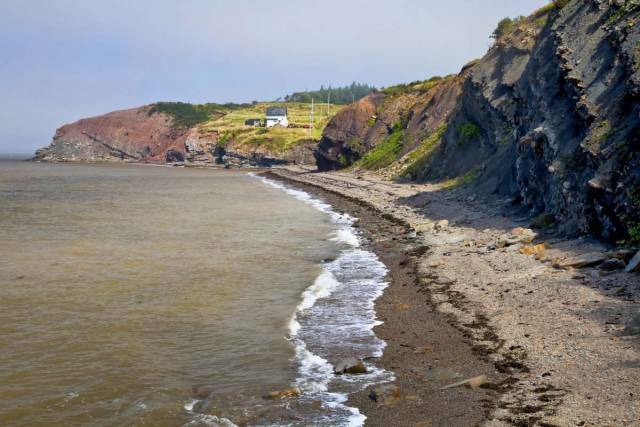 Explore the fascinating remnants of 300 million year-old animals and plants at Joggins Fossil Cliffs in Nova Scotia, Canada. 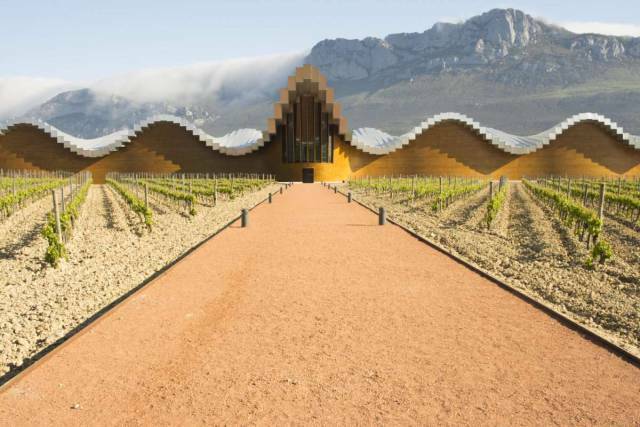 The Bodegas Ysios building in Spain's Rioja Alavesa uses incredible modern design to create the perfect environment for fermenting wine. 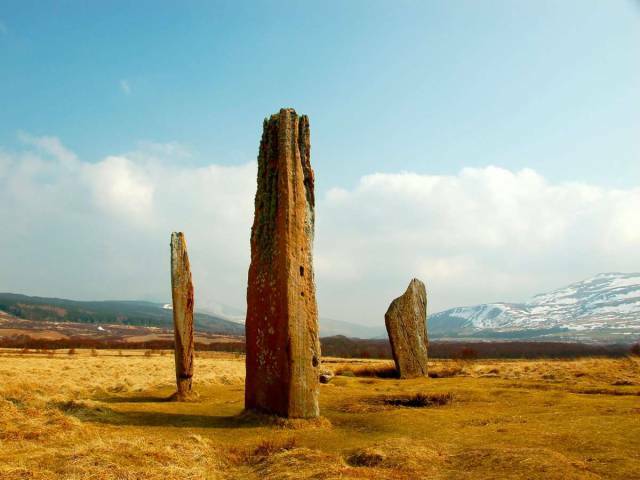 Avoid the crowds at Stonehenge to see Machrie Moor Stone Circle on the Isle of Arran, Scotland. 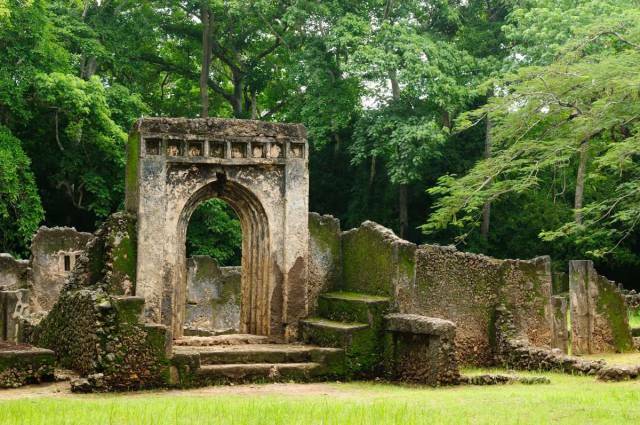 Take a tour of the Gede ruins — the remains of a Swahili town located in Gedi, a village near the coastal town of Malindi in Kenya. Boston is filled with cool cultural spots. 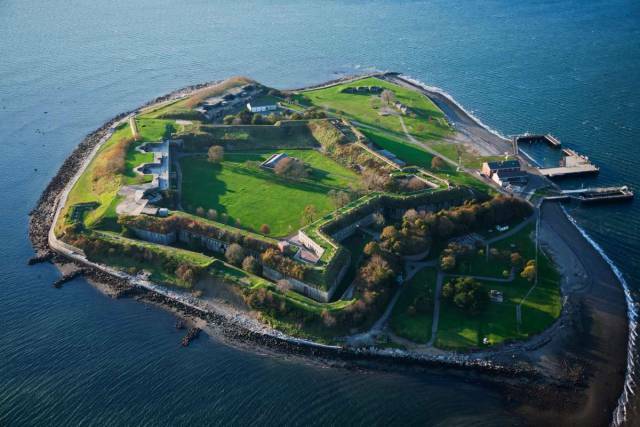 George's Island, which is one of the islands in the Boston Harbor, was used as a coastal defense in the American Civil War. 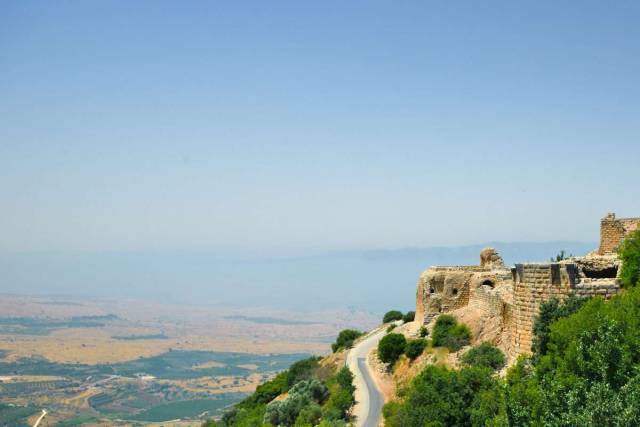 Israel's Nimrod Fortress, or Nimrod Castle, sits on a mountain overlooking the Hula Valley's rivers, waterfalls and thick forests. It offers a stunning view of the entire Golan region. 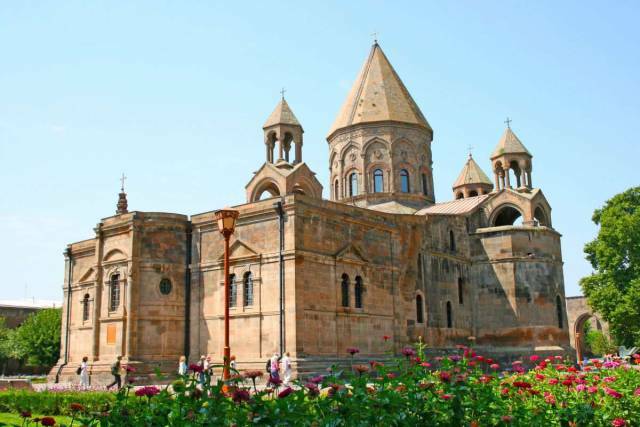 Armenia's Etchmiadzin Monastery's cathedral is thought to be the oldest running cathedral in the world. 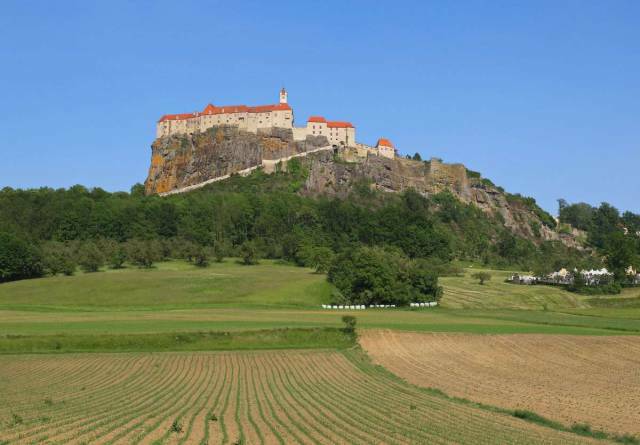 Climb up a dormant volcano in Austria to see Riegersburg Castle. Inside there are two museums — one on the legacy of women in the area and another on witchcraft. 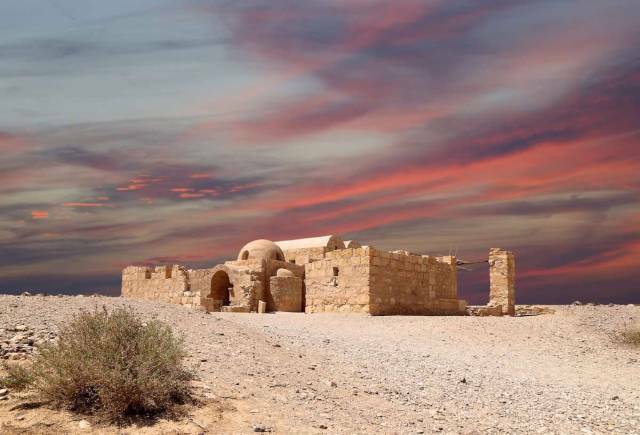 Visit Qasr Amra, an ancient castle that dates back to the 8th century. It is found in the desert near Amman, Jordan. 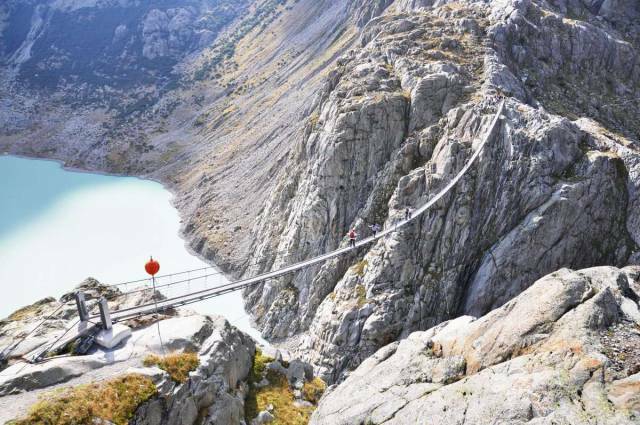 Hold your balance on the Trift Bridge, the longest suspension bridge in the Swiss Alps. 56. 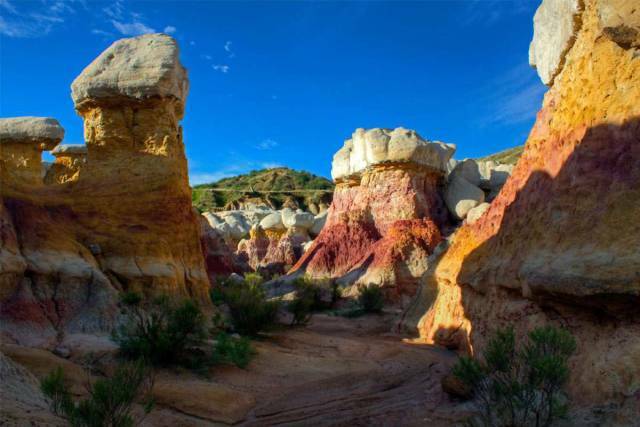 Marvel at multicolored geological formations at the Paint Mines Interpretative Park in Colorado. 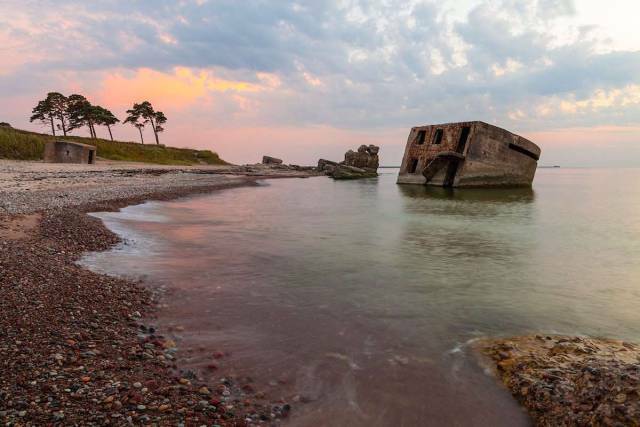 Check out the eerie ruins of an old fortress that surrounded the city of Liepaja on the coast of Latvia. One of the most remote places in India, Zanskar Valley is inaccessible by road in the winter because of heavy snowfall. Even in the summer, it involves a trek not for the faint of heart. 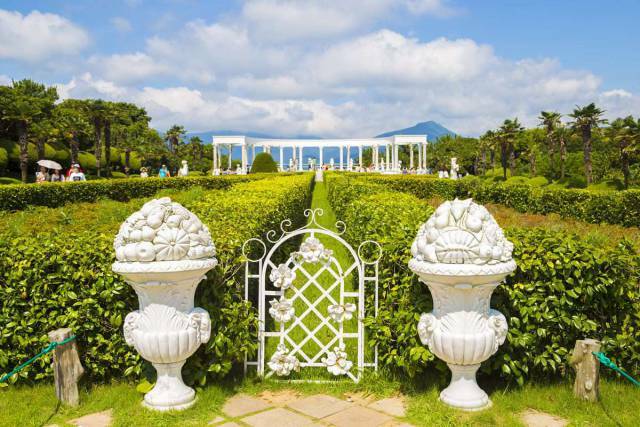 The Korean island of Oedo has been turned into an elaborate and imaginative botanical garden, Oedo Botania. It's a romantic spot, especially during the summer. 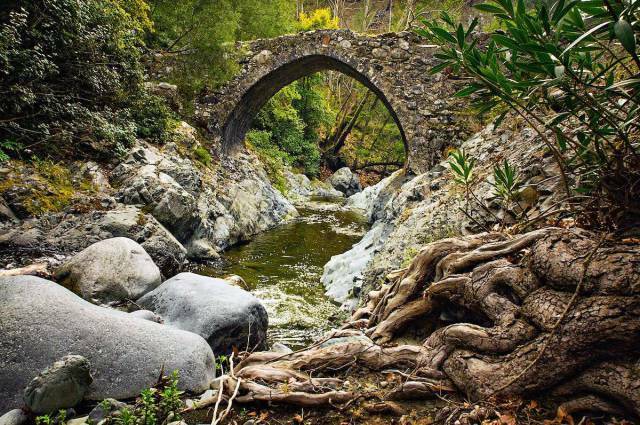 Visit one of several ancient bridges that are believed to have been built centuries ago by the Venetians in Cyprus. 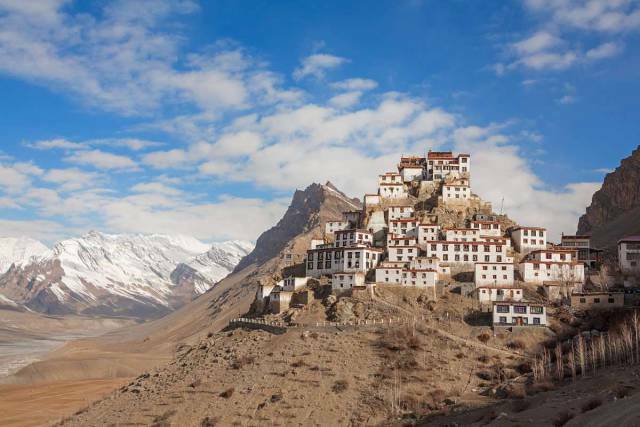 The breathtaking Buddhist monastery Kye Gompa is spread over a hill in The Spiti Valley in the Himalayas. 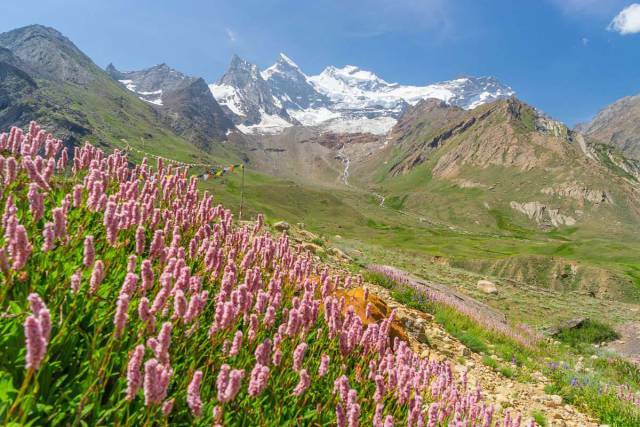 It sits at an altitude of 4,166 meters (over 13,677 feet) above sea level. This should be on your bucket list!